The journey is not easy – the journey is arduous because one has to drop many cherished things and one has cherished those things for long, maybe for lives together. To drop them means becoming poor, becoming a beggar. That’s what Jesus means when he says, “Blessed are the poor in spirit for theirs is the kingdom of God.” To be poor in spirit, that is the fire. One has lived with great ideas, opinions, knowledge, and one has been clinging to them because they were all that one had. But to be initiated into a path of purity, into a path of transformation, all that rubbish has to be dropped. I cannot give you anything, because you need not have anything from the outside. That which you need is already there – it is already the case – but I will have to take many things from you, things which are not your nature. Hence the Master’s work is really not of giving something to the disciple but of taking everything that the disciple has, leaving him utterly poor in spirit; and that is the journey and the arduousness of it. When a disciple comes to a Master he comes hoping that he will get something; a real Master is bound to frustrate it. Only the pseudo Master gives you solace; the real Master gives you fire. Only the pseudo Master pretends to give you something – knowledge, wisdom, enlightenment. The real Master knows that nothing can be given to you because in the first place all that you need is already there. It is hidden behind a great heap of rubbish; the rubbish has to be taken away. But you have cherished that rubbish very long, you have saved it like a treasure, so when it is being taken away it hurts, it leaves wounds. One wants to escape from a real Master. A thousand and one times one wants to escape from a real Master. A thousand and one times one is frustrated with the real Master, because basically he never fulfills your desires. You come with one idea; he has some totally different idea of how to do things. He will not fulfill your expectations – he will not fulfill your expectations about how a real Master has to be either. He is going to shatter all your ideas. When a disciple comes to a Master he has many ideas about how the real Master should be, how an enlightened person should be. You cannot tame God, you cannot tame real enlightenment – there is no way; it remains wild. So he has to frustrate your desires, he has to frustrate your expectations, he has to frustrate your idea of a real Master. It is hard, and only the very courageous remain long enough to be transformed. I am saying it to you, because it happens to every disciple – it is going to happen to you too: a thousand and one doubts will arise. The Master really makes trust almost impossible, but when it is impossible and still you trust, then it works; only then does it work. If the Master makes trust very simple and possible, if he fulfills all your ideas of being a Master, then trust is cheap, very cheap… meaningless too. 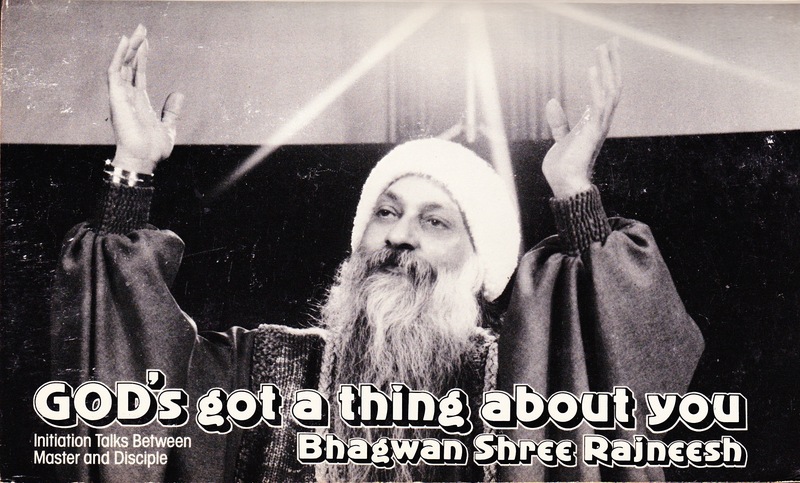 Life cheats through conditions of sensuality and OSHO cheats through enlightenment for immortality.